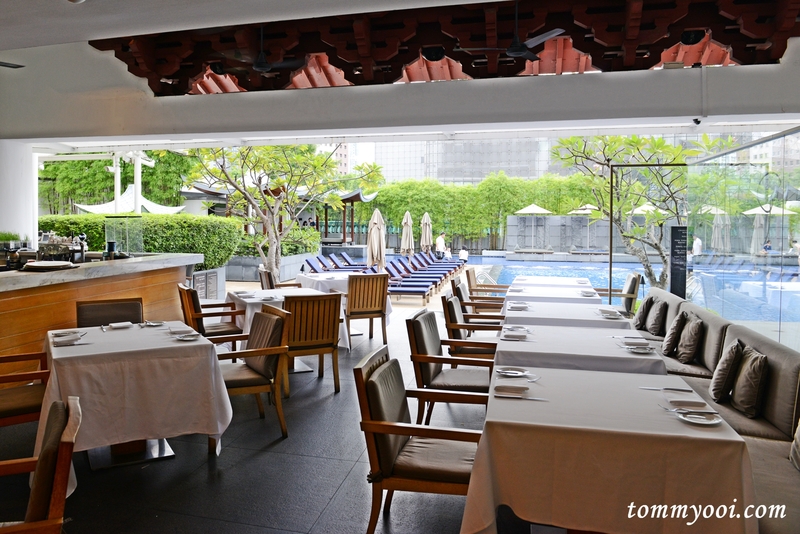 Consistently listed as one of the top restaurant in Singapore, Pool Grill Restaurant is a perfect choice for somewhere more tranquil and relaxing to dine leisurely in the heart of Orchard Road. 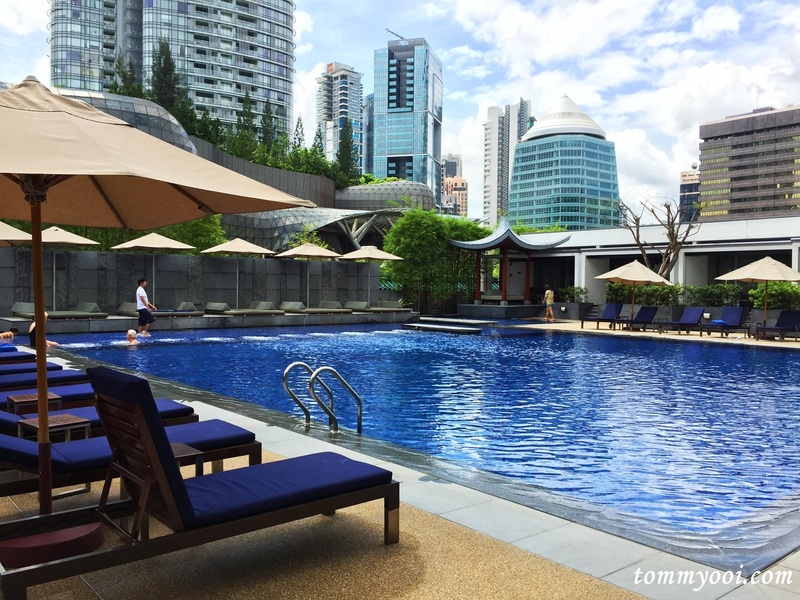 Located on Level 5 of the luxury Singapore Marriott Tang Plaza Hotel, the chic resort like al-fresco restaurant offers diners a spectacular pool view. 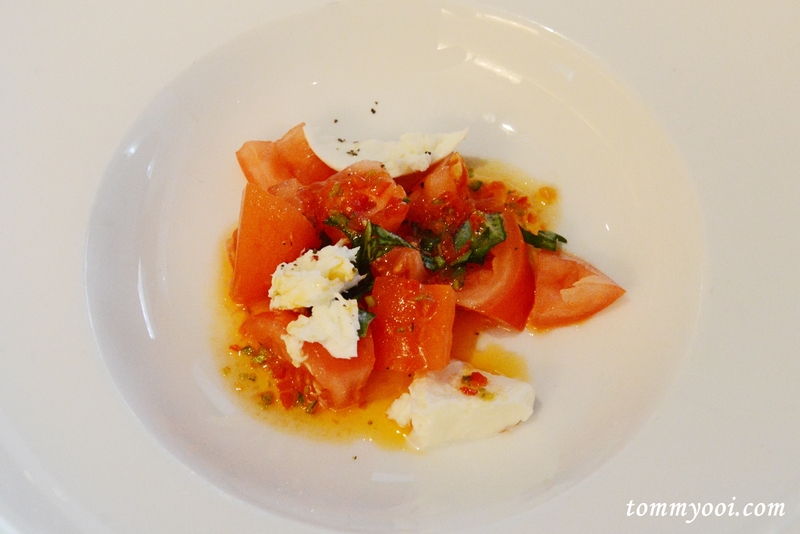 With a limited capacity of only 40 seats, reservation is always a smarter option. Luckily reservation was made for us, I’m pretty sure we will be turned down if reservation wasn’t made as the restaurant was already packed when we arrived. 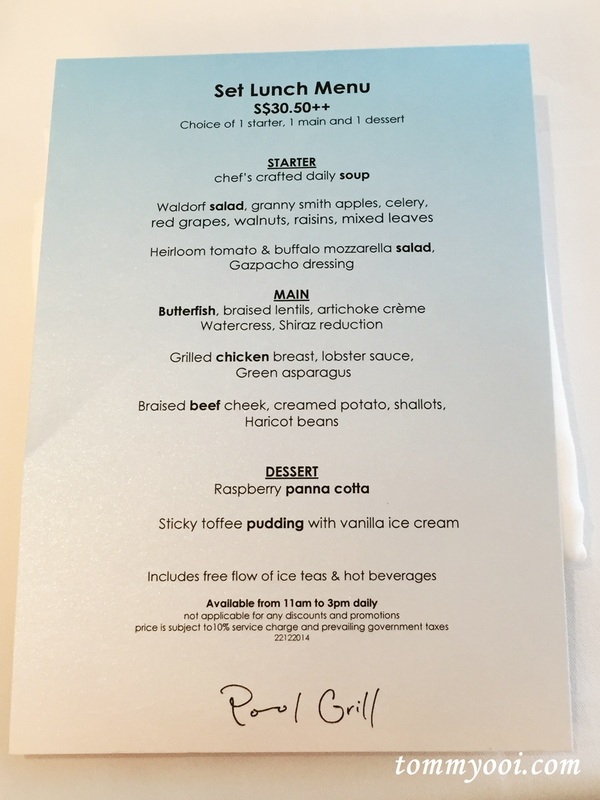 Pool Grill’s Executive Set Lunch is quite popular with diners, offering weekly changing 3 course meal that prides itself on freshness and quality and also includes Free Flow of Ice Tea & hot beverages for S$30.50++. 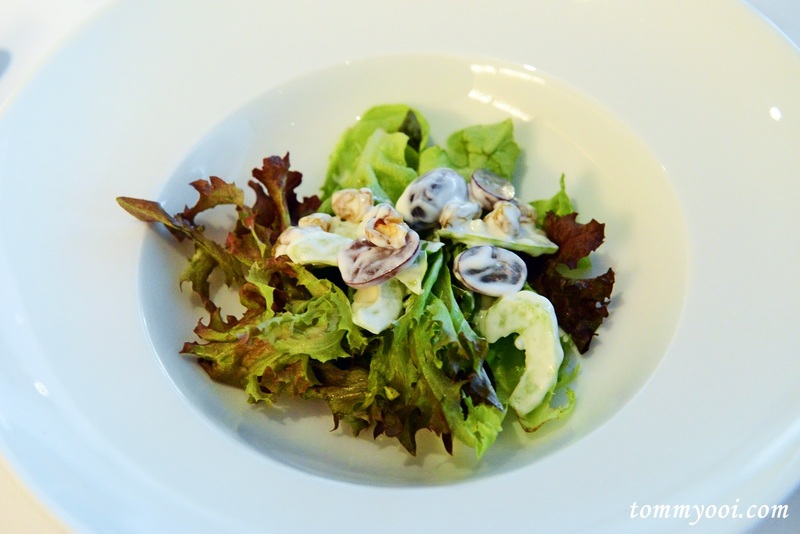 The salad is healthy, light & crunchy with the apples, celery & walnuts. 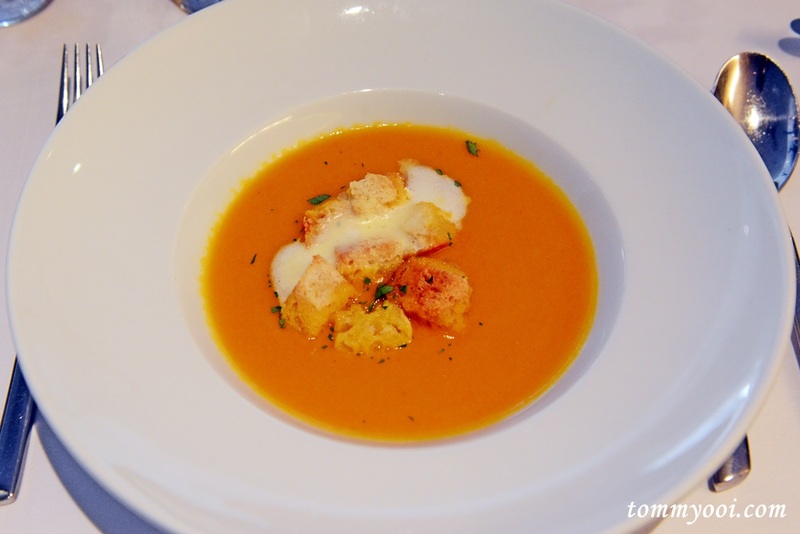 The pumpkin soup is hearty, filled with the sweetness of the pumpkin. 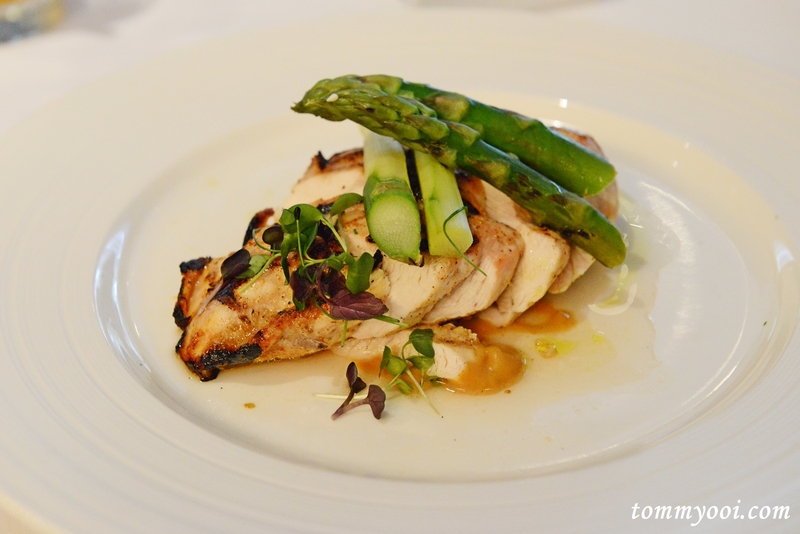 The chicken is ideally grilled, tender & juicy with the lobster sauce enhances the flavor. 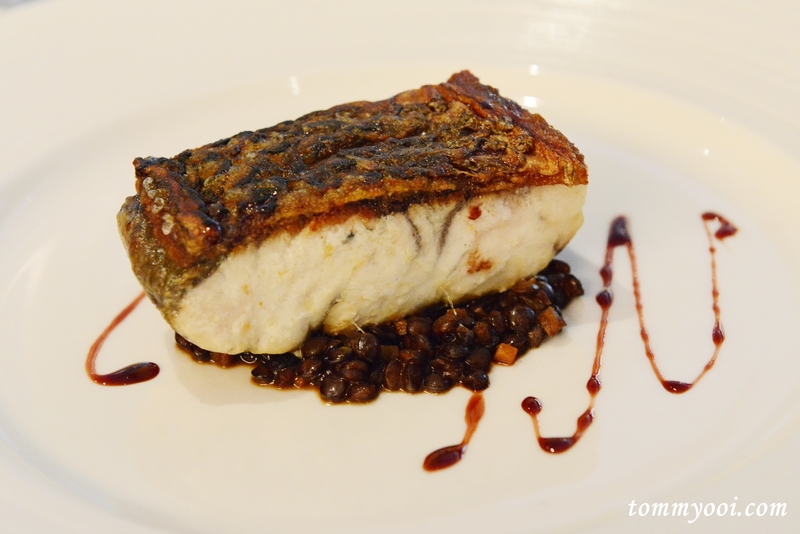 Probably due to overwhelming response, the butterfish was sold out hence we settled for seared sea bass. The skin was very crispy while the meat was cooked just nice. Portion wise slight small. 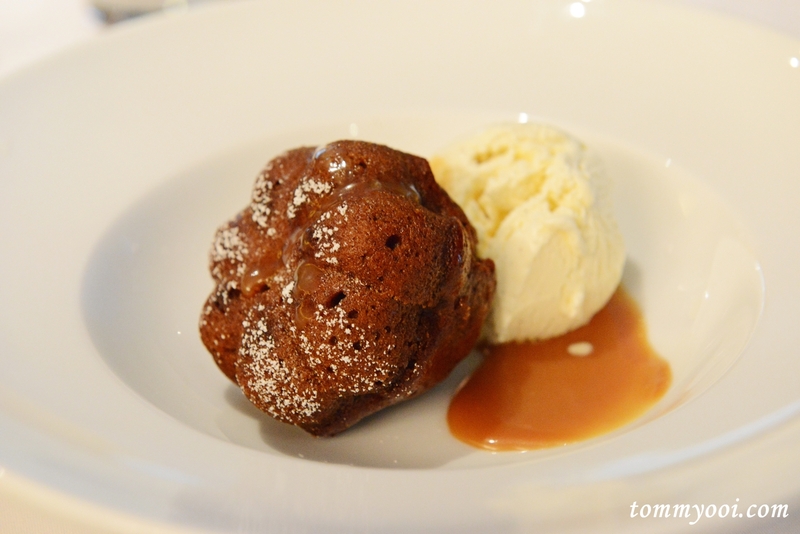 The sticky toffee pudding, considered a modern British Classic is filled with rich flavors, moist sponge pudding, indulgent toffee sauce and a perfect combination with the vanilla ice cream. 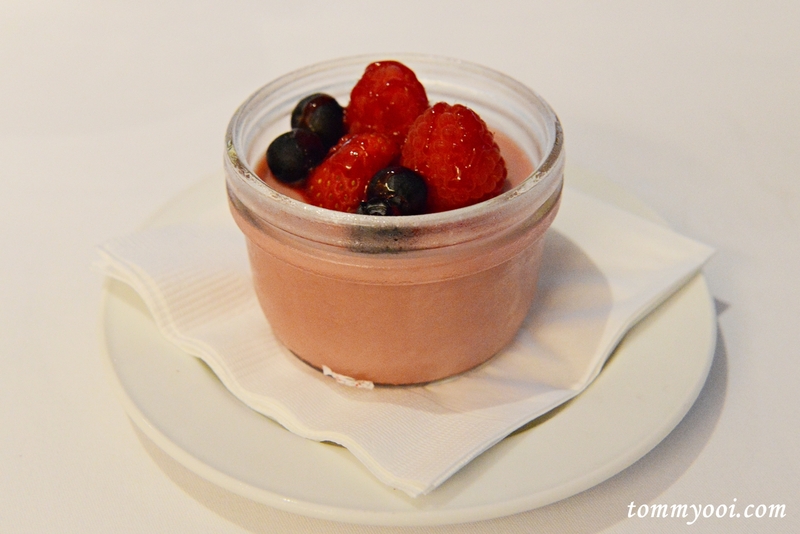 Raspberry Panna Cotta is perfectly creamy & smooth with refreshing raspberry aftertaste that ends our meal in style. The service at Pool Grill was friendly, attentive and always asking if we want more drinks or any help which makes our dining experience much enjoyable not forgetting the relaxing ambiance that soothes the tension of daily pressure lifestyle making it a wholesome experience.